The Mustangs struggled to find their footing early, but ended within punching distance of a division title. SMU football hired Sonny Dykes to try and continue the air raid work that was started under former coach Chad Morris. The first year was a mixed bag. Ultimately, the Mustangs missed a bowl game. More importantly, they missed opportunities that could have made this an especially special year. However, there was clear progress on both sides of the ball that could catapult the Mustangs into 2019. Here’s our full postmortem and review of the 2018 SMU Mustangs football season. Proche emerged as one of the best offensive players in the entire state as a junior. The DeSoto product caught 93 passes for 1,199 yards and 12 touchdowns for the Mustangs. He managed to excel as both a possession receiver and explosive target. Next year, he has the potential to be an All-America candidate if the quarterback play can match. When Moore transferred from Texas A&M, Mustangs fans hoped he could immediately be a contributor. He dramatically exceeded expectations. The junior led the team with 92 tackles, and added 13.5 tackles for loss and five sacks. He and Kyran Mitchell made up one of the most surprising linebacker groups in the conference. Not many programs in the country returned the leading passer in program history. However, Sonny Dykes had that luxury when he took the head coaching job at SMU with Ben Hicks. But just two-and-a-half games into the season, Dykes decided to mix things up. Hicks threw a pick-six to end the first half of a tremendously difficult game against Michigan on the road. The Mustangs were well on the way to a third straight loss to open the year. At that point, Dykes benched Hicks in favor of true freshman quarterback Will Brown. Later, Hicks was reinserted in overtime against Navy, where he led the Mustangs to a win and ultimately regained the starting job. He also led the program to strong performances against Cincinnati and Houston. Hicks ultimately grad transferred to Arkansas after the season. The way Dykes handled him will always be bizarre. There were some decent performances in the midst of the schedule. Edging out Navy was important, and beating a much-improved Tulane squad on the road was impressive. However, the Mustangs waited until they played their in-state conference rival before putting forth their best performance of the year. Houston was 7-1 and on the cusp of earning a national ranking. However, the 3-5 Mustangs ran out to a quick 17-0 lead at home. Houston scored a pair of touchdowns in just 54 seconds of game time to cut the lead, but SMU responded with two touchdowns in the last four minutes to take a three-score lead that it would never give up. This game helped launch the Mustangs right into the AAC title race, and at the expense of Houston. In so many ways, this game helped turn a page in the program’s development. Additionally, this game also played a huge part in Major Applewhite’s firing. SMU had so much promise heading into the last few weeks of the season. After beating UConn on Nov. 10, the Mustangs just needed to beat Memphis at home and lowly Tulsa on the road to earn a trip to the AAC title game. The Mustangs had not won a division title since 2010; it would have been the perfect end to Dykes’ first season. On a rainy day in Dallas, the Mustangs put up a good fight against Memphis. Heading into the fourth quarter, SMU was down just 14-12 with a chance to win the game. Instead, the Mustangs allowed a pair of touchdowns in just five minutes to lose control. No matter. 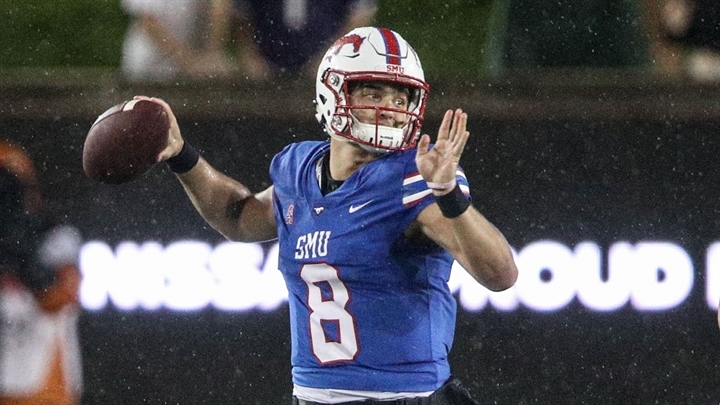 SMU traveled to two-win Tulsa with a shot to easily make a bowl game. The Golden Hurricane only had one conference win against UConn, which ranked as one of the worst teams in America. Tulsa had nothing to play for. But instead of fighting for a bowl berth, SMU gave up a 21-0 run to open the game. Not making the title game is perfectly acceptable in a first season. Missing a bowl game after two brutal losses is a tremendous disappointment. Biggest offseason question: Who plays quarterback next year? As we mentioned, SMU effectively pushed Hicks out the door. While moving on from Hicks isn’t the worst thing for the Dykes era, SMU doesn’t have much in its back pocket to deal with it. The Mustangs return the freshman Brown, redshirt freshman Derek Green, redshirt freshman Jacob Oehrlein sophomore Austin Upshaw and 2019 recruit Terrance Gipson. Outside of Brown’s 85 attempts, that group has a combined three collegiate pass attempts. Luckily, there are options. Texas quarterback Shane Buechele and Texas A&M quarterback Nick Starkel are both in the transfer portal. Both are from D/FW and have been rumored to be looking at SMU. Even better, both have two years of eligibility remaining. SMU will have to play its cards right in the next few weeks. Buechele and Starkel will both have options, so Dykes has to prioritize early. Top receivers James Proche and Reggie Roberson are back. Top running back Xavier Jones is healthy too. There’s potential in 2019, but a quarterback has to unlock it. 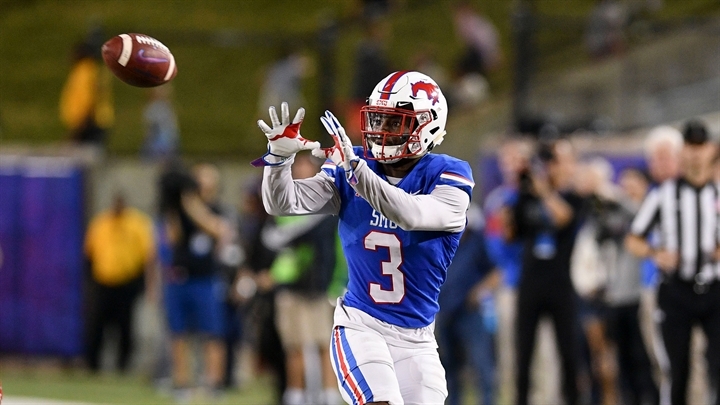 At times in 2018, SMU looked like a hopeless football team. After losing its first three games by a combined 133-55 – not counting a Dykes-coached bowl game in 2017 where the Mustangs lost 51-10 – SMU seemed to be in big trouble. It didn’t help that Dykes was hired to try and create a smooth transition from Chad Morris. Luckily, the Mustangs got their feet under them and found their way. The defense improved dramatically in the second half of the season. Other than a bad performance against UConn, the Mustangs held the final six opponents to 31 points or fewer. Dykes has a vision in Dallas. The Mustangs return several of their best players on both sides of the ball, including Proche, Jones and Moore. SMU’s recruiting class also ranks No. 3 in the AAC. We won’t truly know what this season means until next year.